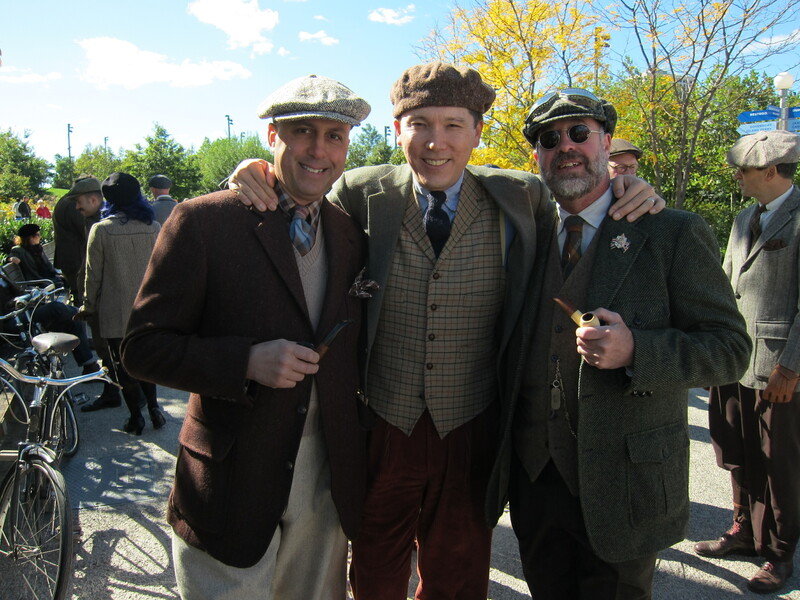 This past weekend we met up with out vintage loving friends to continue the tradition of the Brooklyn Tweed Ride which has been an event I’ve come to look forward to the past few years. 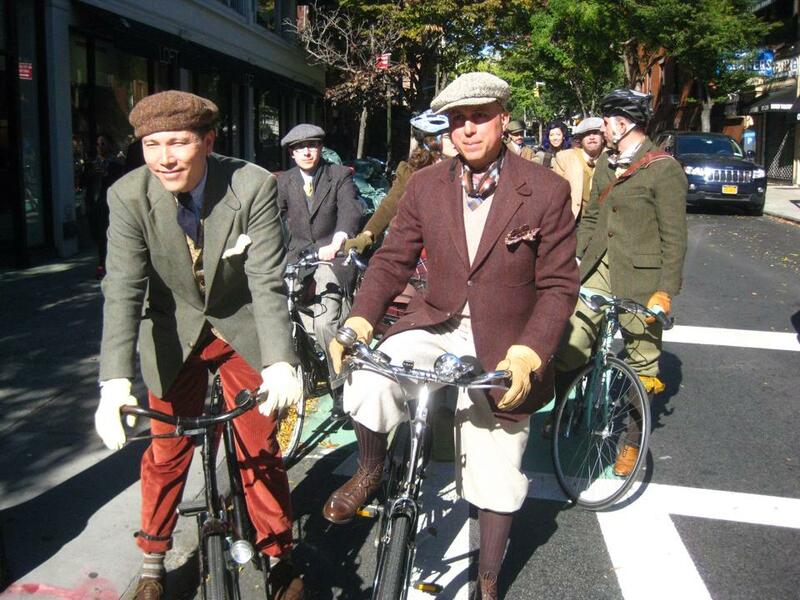 Tweed Rides have been popping up all over the US the past few years (more on that later) and while some cities now have sponsors for theirs and they’ve become large, ticketed events, ours has remained small and casual, with just about two dozen of us meeting up for a ride around Brooklyn in our tweedy best, followed by imbibing and dining at a favorite Brooklyn establishment. 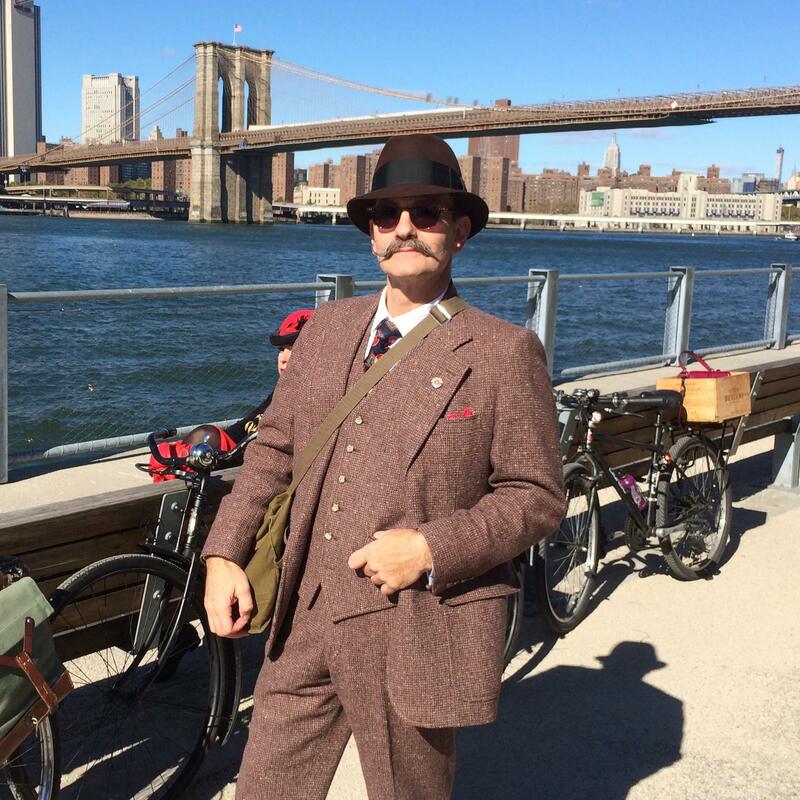 After two years of meeting at Grand Army Plaza and riding two loops around Prospect Park, this year the decision was made to meet in Red Hook and ride through Brooklyn Heights, Dumbo, and Carroll Gardens. 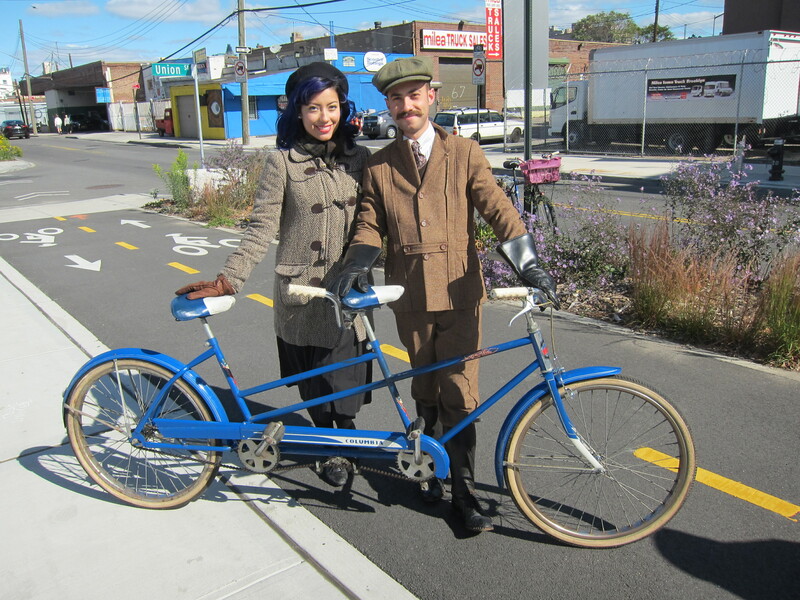 Last year we rode on one of THE coldest days of the year but this year we got lucky with nearly perfect weather so it was a real treat to be riding through Brooklyn with the wind at our backs and the sun on our face. 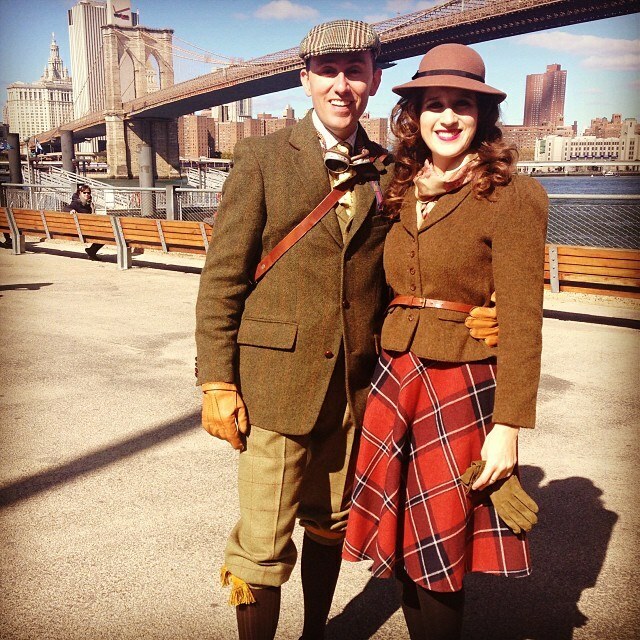 We rode through Brooklyn Bridge Park and stopped to take some pictures with the magnificent backdrop of the Brooklyn Bridge, which is pretty hard to beat as far as backdrops go. 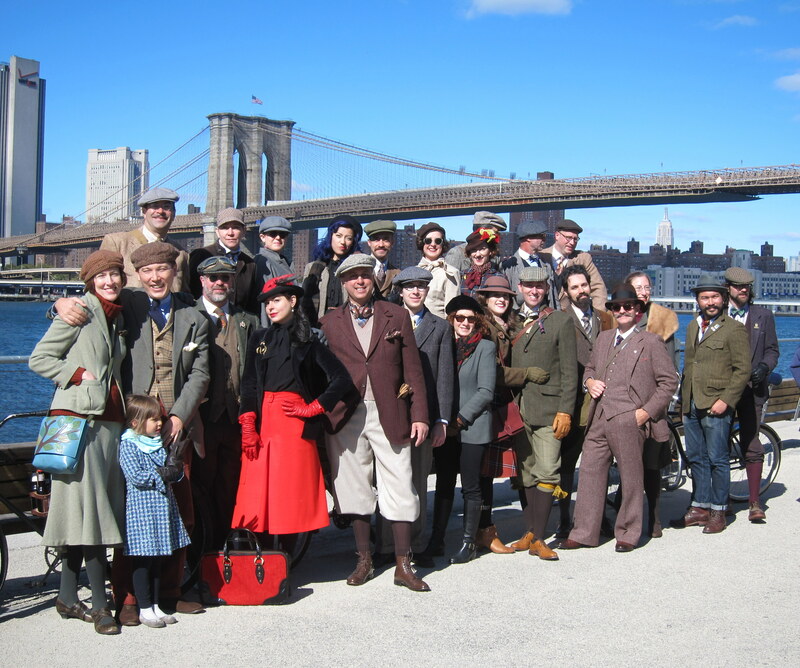 We were helped out by some very enthusiastic and charmed tourists who will surely be showing their pictures of us to their friends and families back home, trying to explain this group of crazy Americans wearing tweed and riding around Brooklyn. 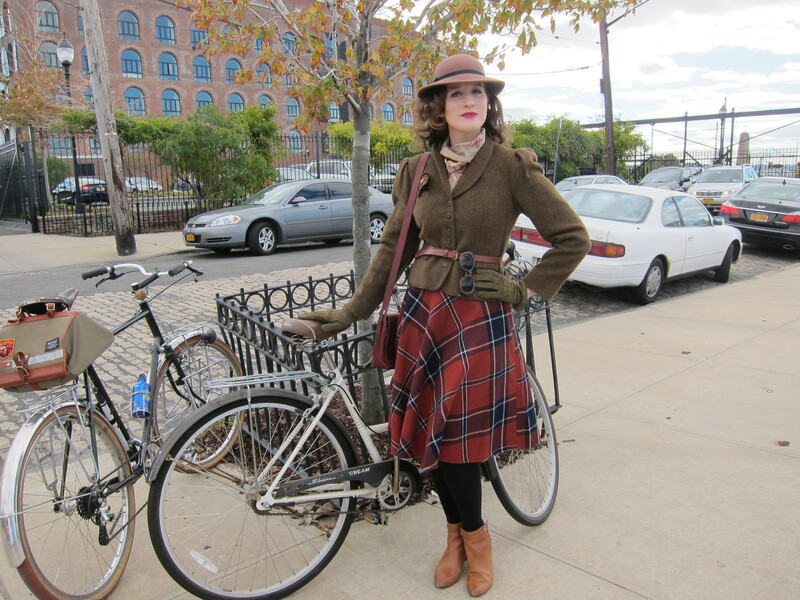 We ended our ride at Hometown Bar-B-Que in Red Hook just as it was starting to get chilly and filled ourselves with some amazing BBQ and drinks then rode home, happy from a full day with friends and fresh air. 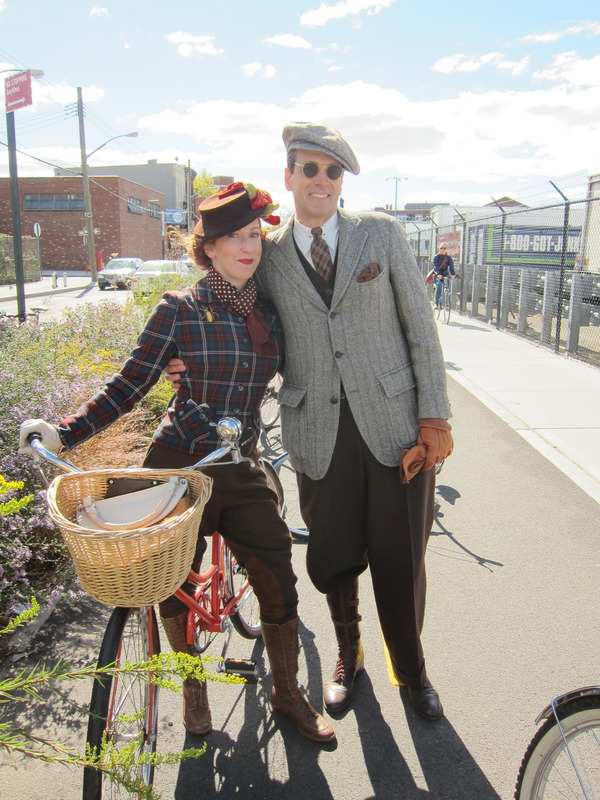 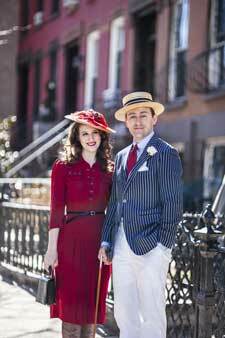 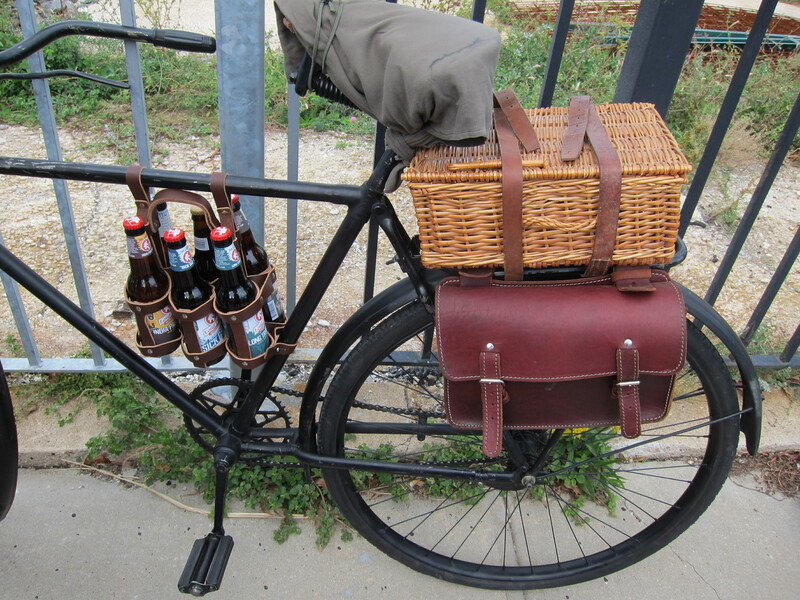 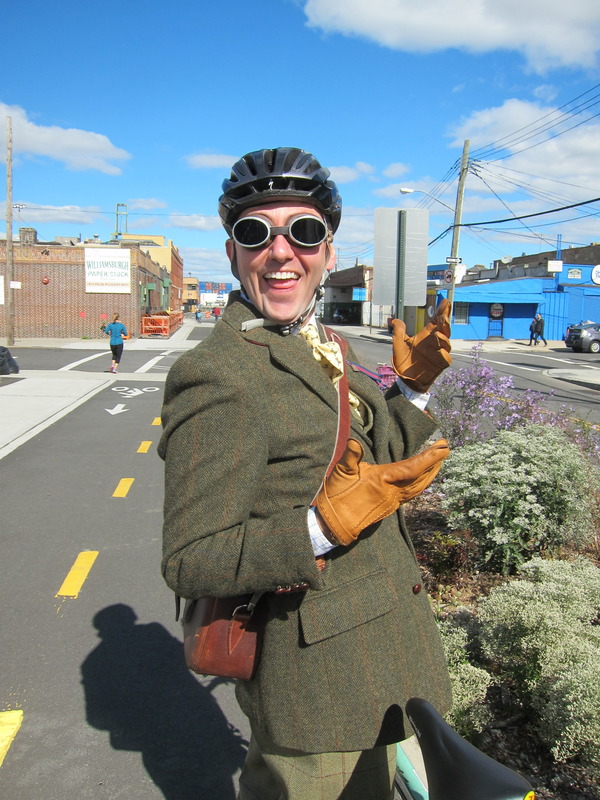 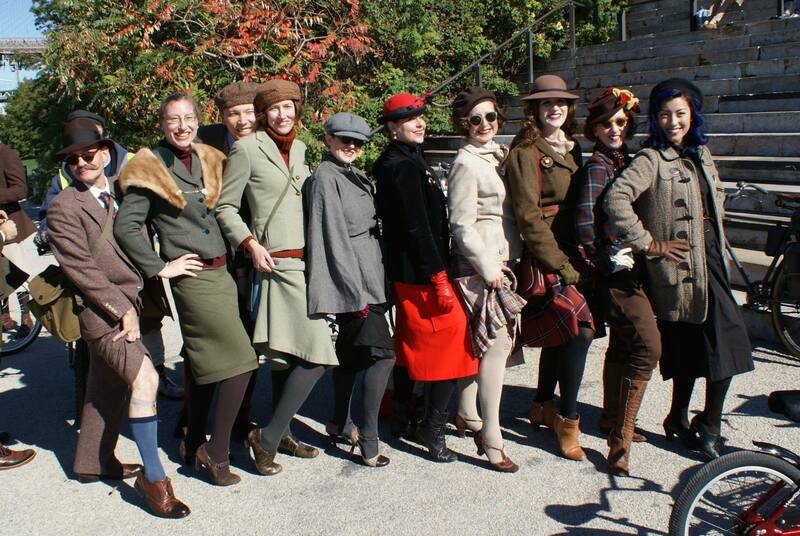 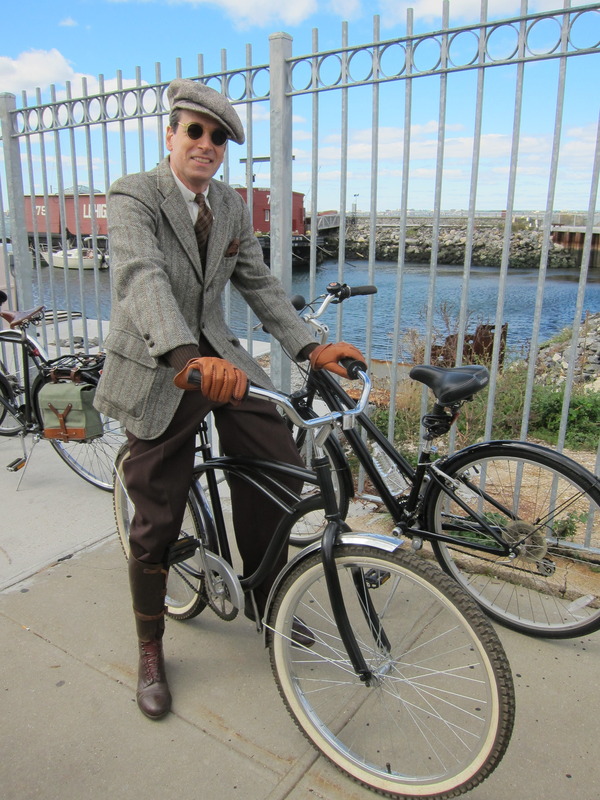 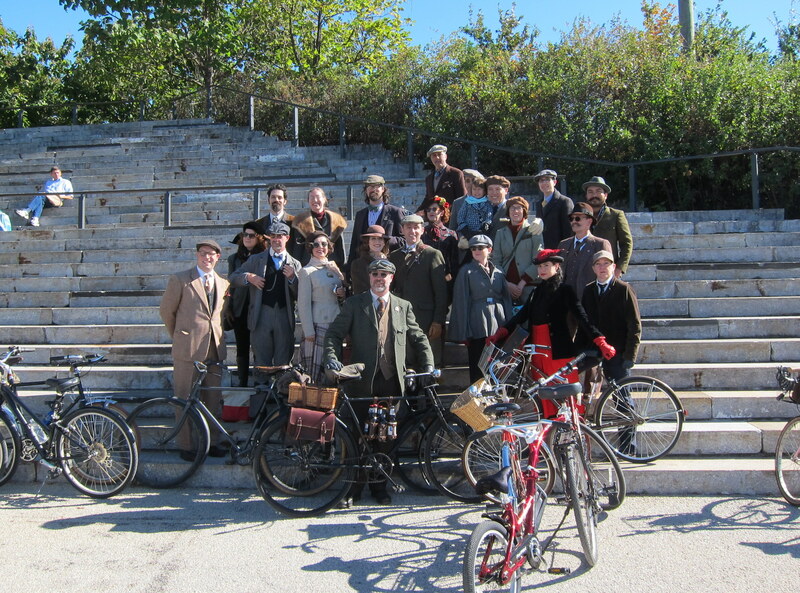 We’re already looking forward to next year’s Brooklyn Tweed Ride!